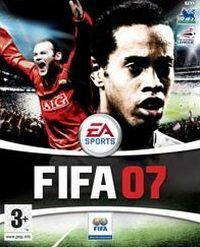 FIFA 07 is another incarnation of one of the most popular and outstanding football simulator series. This year's edition is characterized by increased realism of the game, especially in terms of exercising control over the players. With the 2006 FIFA World Cup™ over and the glamour of international football fading fast, players like Ronaldinho, Rooney and Toni have now gone back to their day jobs of winning glory for their club in EA SPORTS™ FIFA 07. Relish every satisfying victory over bitter rivals and live through every gut-wrenching poor performance at home. Savour the spine-tingling stadium atmosphere, home and away, as your team battles their way up the league table. Listen as your supporters chant your players’ names and bellow all the rousing club songs through rain and shine. You have the power to shape your club’s destiny in the EA SPORTS™ Interactive Leagues [F.A. Premier League, Bundesliga, French League, Mexican 1st Division], a new online mode that enables you to pit your club against supporters of your real-world opponents. Play your games according to the real-world schedule. When they play, you play. Track your team’s progress as the aggregate results determine your club’s position in the league table. Now you actually take to the pitch for the glory of your club. This is the season where you make the difference! Manager mode, tactics, on the pitch and more.